Last week was homecoming at CHA. The theme was “No Place Like Home.” The halls and offices were decorated with yellow brick roads. Students were decked out in daily attire which reflected the whimsical theme. Student government leaders did an outstanding job with this week. Thank you, Molly McClure, for your leadership as Student Council President. As I pondered the theme, “No Place Like Home,” I thought about what makes a home. There is no doubt that décor makes a home. Colors, furniture, and smells can instantly make you feel at home. However, styles change even when “home” does not. Home is made of people. Last Friday night, after all the décor had been taken down from the halls of CHA, we saw what truly makes a home. Alumni from over four decades of CHA history were present. As a secondary math teacher and administrator for twenty-nine years, I can tell you that the best gift one of my students can give me is to come home - to not just come stop by but chat for a while and share what God has been doing in their lives. When the students come back, they don’t just want to watch a game or attend an event, they want to see those men and women that have left an indelible mark on their lives. 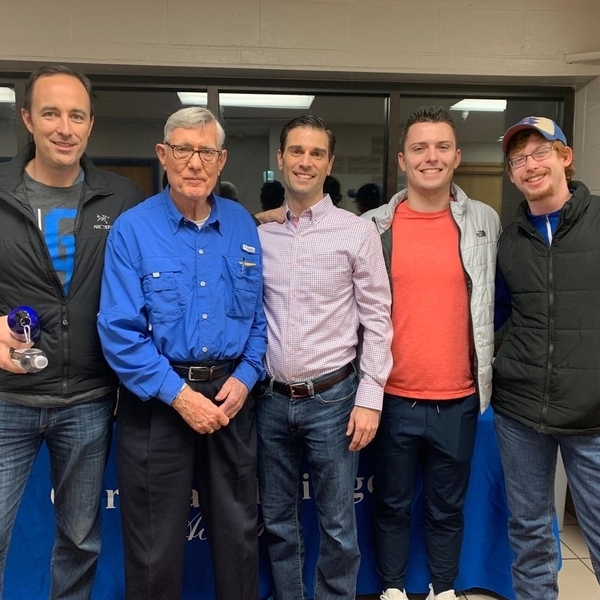 This is verified in how they interacted with Mr. Ralph Bullard who stood with anticipation at the alumni table last Friday night and greeted each alum that stopped by for refreshments and a gift. His faithfulness and anticipation to wait reminded me of the father in Luke 15:11-32 who waited for his son to return home. In the heart of every true teacher (and parent) is the desire for their children to walk in truth in the world but always have a heart towards home. The Heritage Banquet is like a family reunion. The Heritage Banquet is just 15 days from today. Registration ends on February 13. On February 19 at the Embassy Suites in Norman, OK, there will be nearly 500 people in attendance. We have already had almost 300 register so far including alumni, faculty and staff members, current families and students, and prospective families. It is a time to celebrate what God has done and is doing at CHA. Just like any family reunion, there will be good food and a time of refreshment. We are thankful for our twenty-one sponsors who have invested in this evening. Their support is not just financial. These families and companies have chosen to partner with CHA because they value the family-community atmosphere. Likewise, the banquet is not just a fundraiser. This banquet is CHA’s largest school-wide event which highlights the CHA family heritage. We hope that you don’t miss this year’s reunion. Current families and alumni will be encouraged to hear from CHA student leaders and be challenged from Dr. Everett Piper, Oklahoma Wesleyan University’s President. If you know a prospective family who would like to learn more about how to make CHA home, please invite them. Prospective families are free. Tickets are $35. Table sponsorships and online registration is here. Well, I could not say it better. CHA is family. We are known for being a family. There is truly “no place like home.” Don’t miss the family reunion on February 19. We call it the Heritage Banquet! See you there!